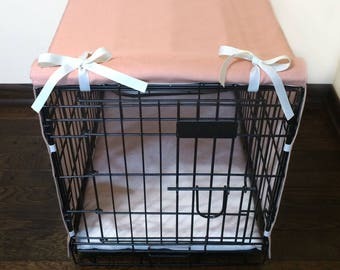 Enter EXACT length, width, and height of your crate, as well as your fabric choice. 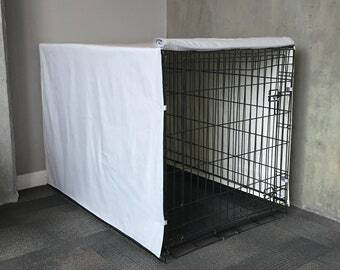 Your dog’s crate should be a sanctuary to help them calm down and relax from the excitement and light that is going on around them. 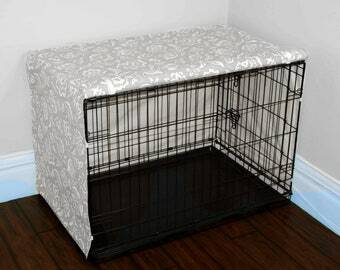 So, instead of covering your crate with a towel or sheet, cover it in a beautiful fabric of your choice that matches your home's decor! 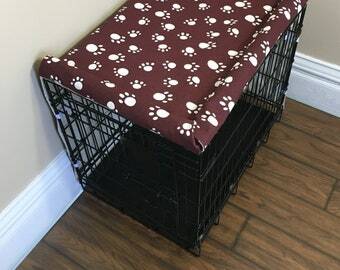 - Fasteners secure the cover onto your dog's crate, reducing the chance of your pup from pulling the cover into the crate, falling off through every day use, as well as preventing it from "flapping out" so it sits nicely against the crate. 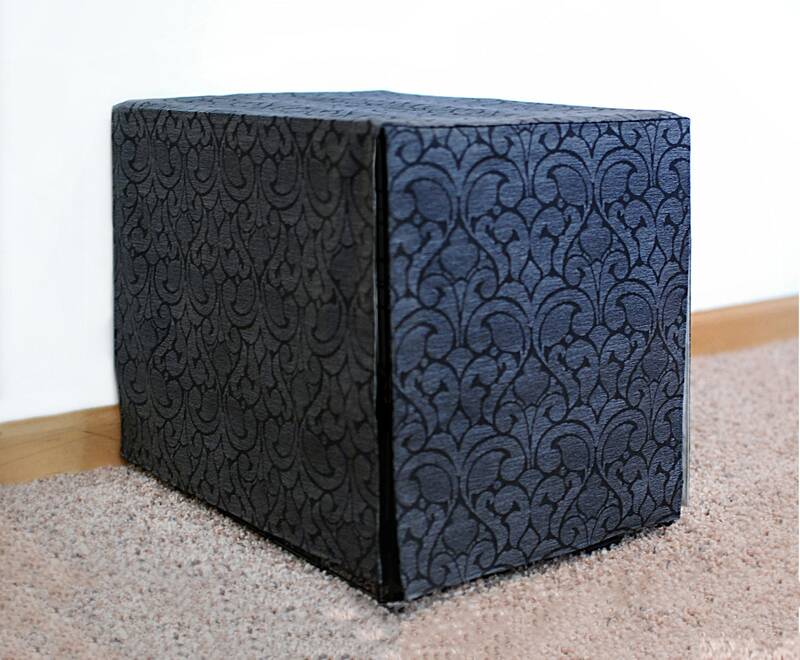 - If your crate has been scratching up your floor, this inner and top-stitched canvas floor protector is heaven sent! You can request a specific color, or go with the typical cream color. 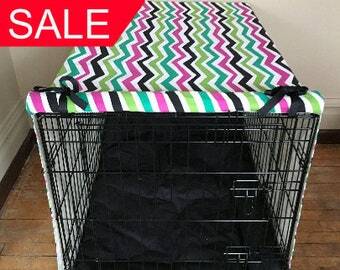 Price will vary on the size of your crate. Dry Clean only. These cover last are made from a polycotton and cotton lining and washing it may distort the fabric. Spot treatment and ironing on medium heat is okay. If you see any lined markings on your cover, please note that they were used for precision when making your cover and will wash out.